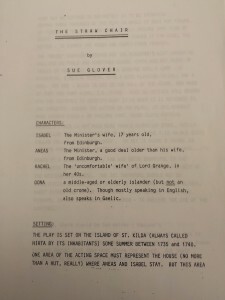 Written by Sue Glover. Directed by Liz Carruthers. 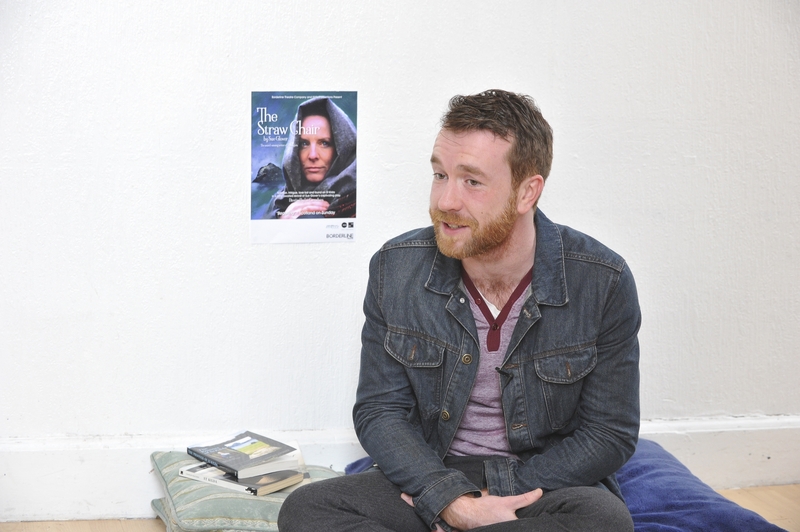 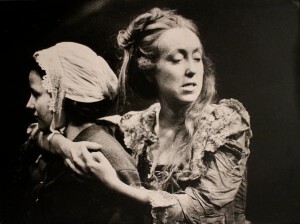 A co-production with Hirtle. 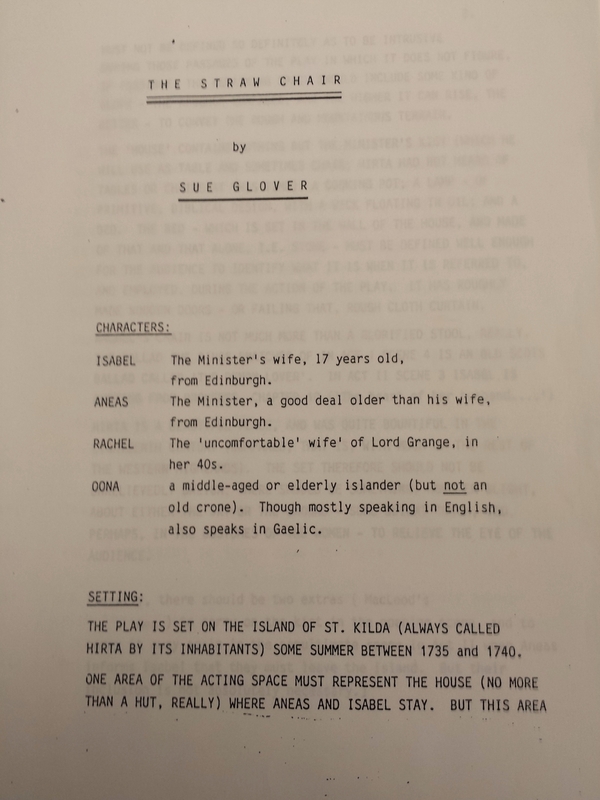 The first Scottish tour in 27 years. 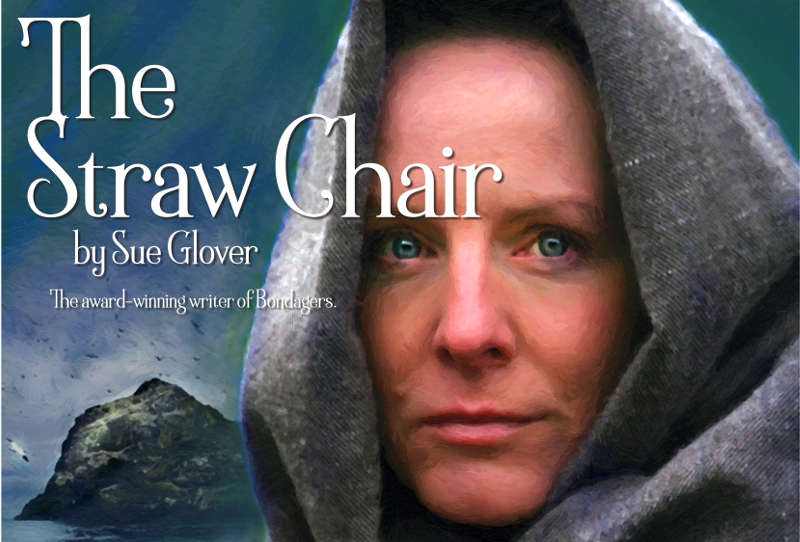 Beautifully written by the award-winning author of Bondagers, The Straw Chair is a profound, powerful and playful story with Gaelic. 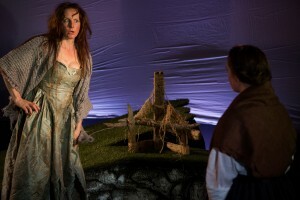 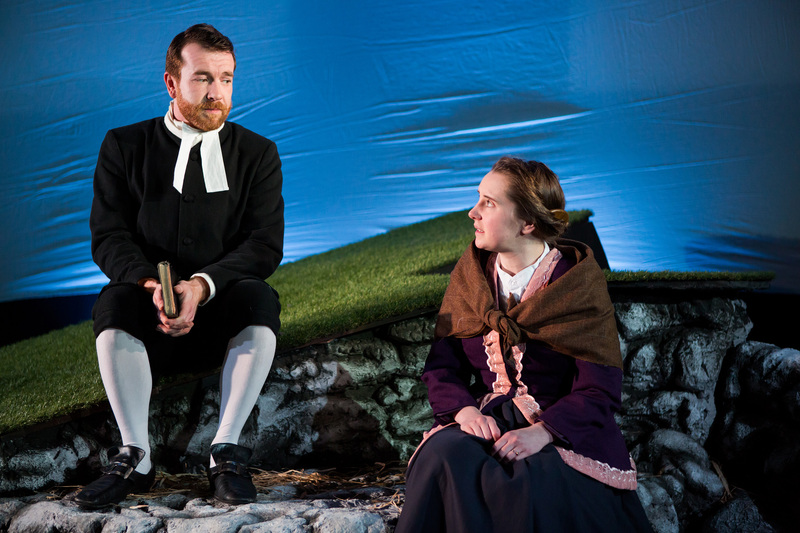 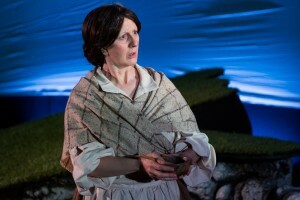 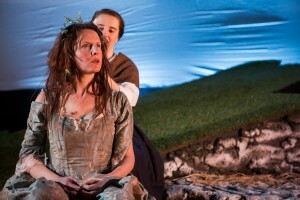 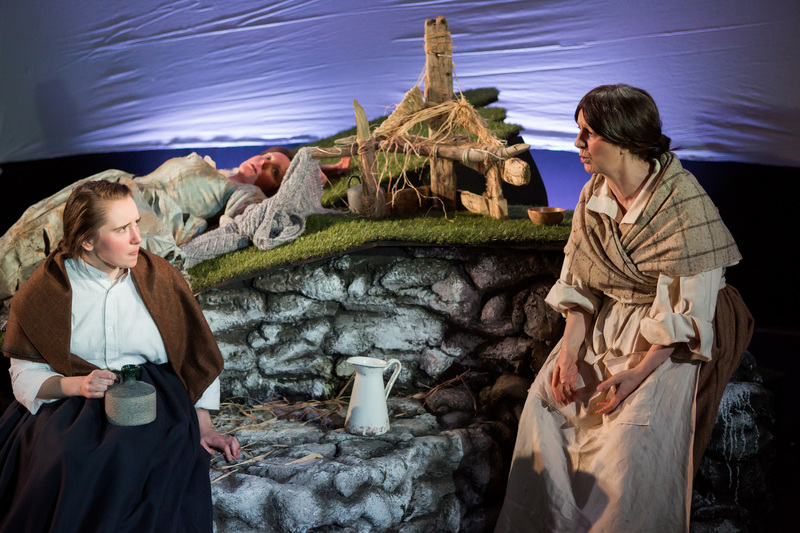 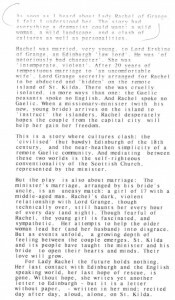 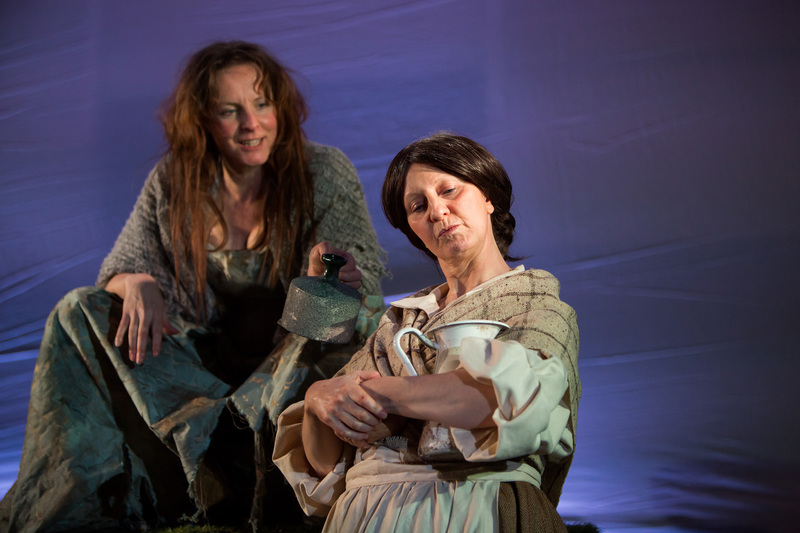 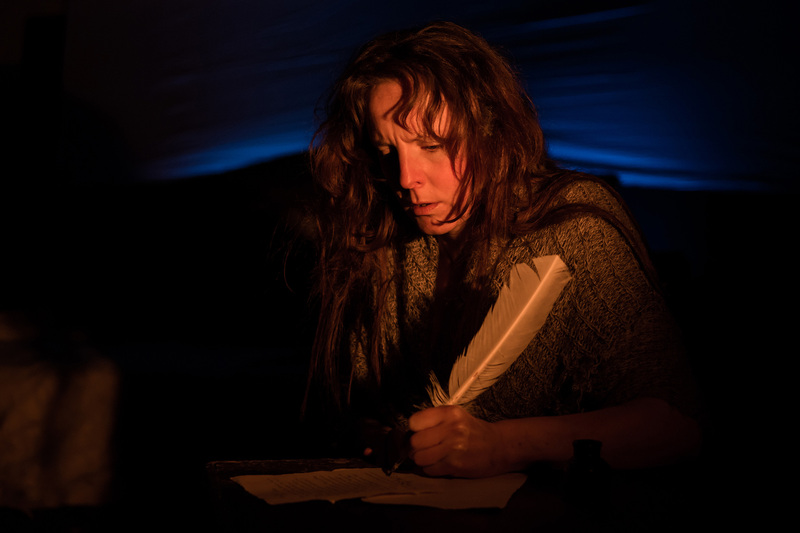 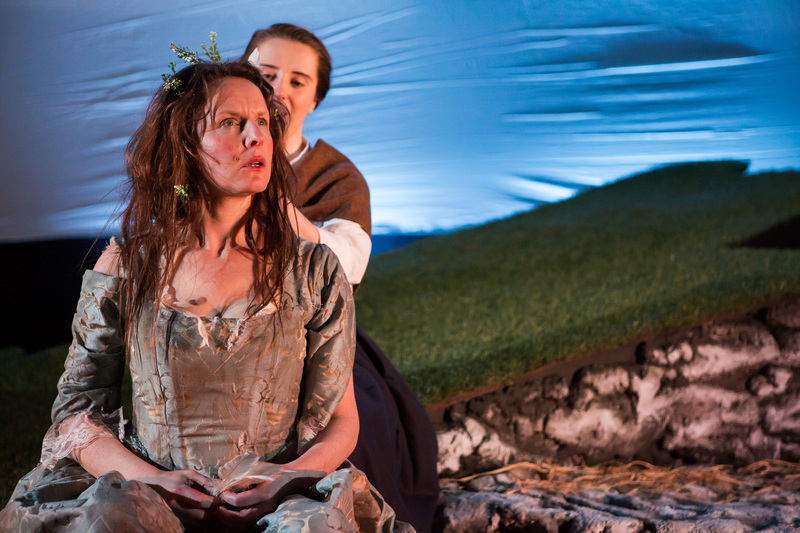 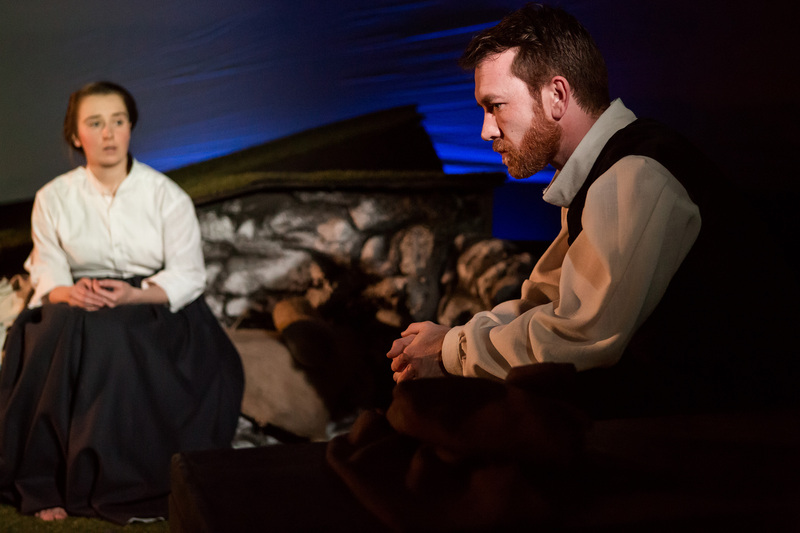 Set in the early eighteenth century on the remote Scottish island of Hirta (St. Kilda) it explores liberty, marriage, female empowerment and life on the Hebrides in captivating fashion. 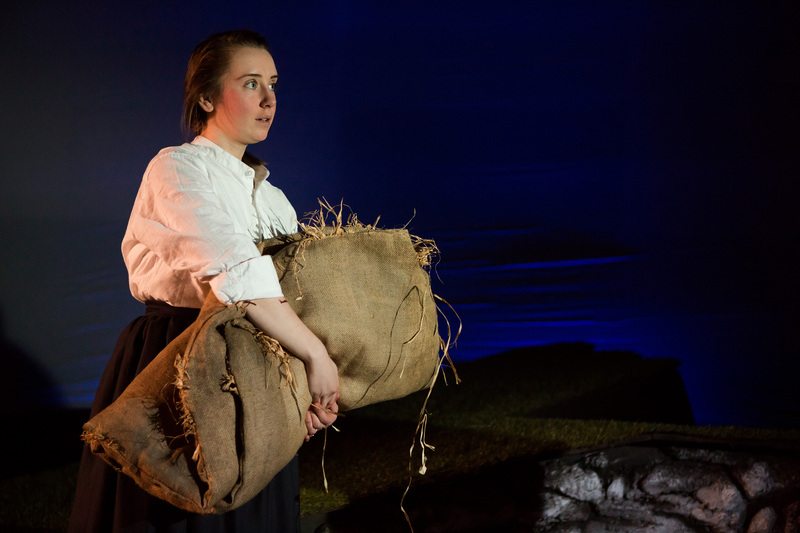 It’s a stormy start to marriage for 17-year-old Isabel and her minister husband Aneas, as they arrive on a 10 day boat journey from Edinburgh onto the island of St. Kilda to spread the gospel in the North. 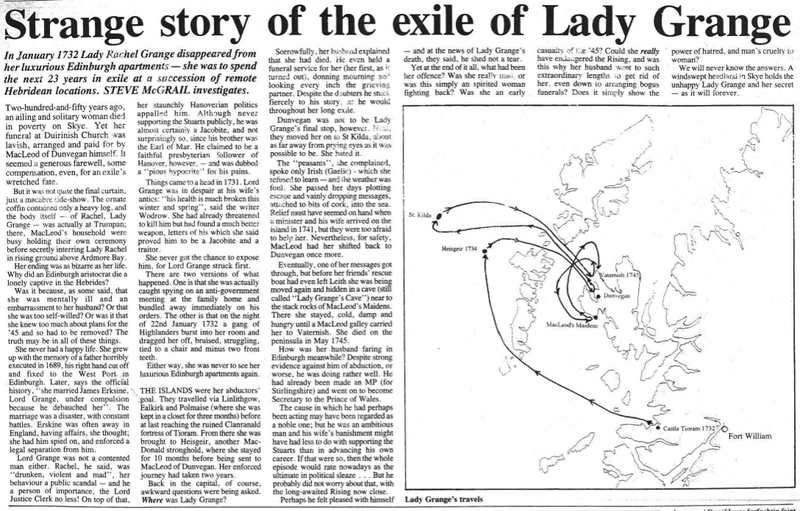 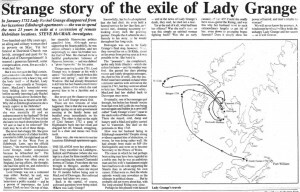 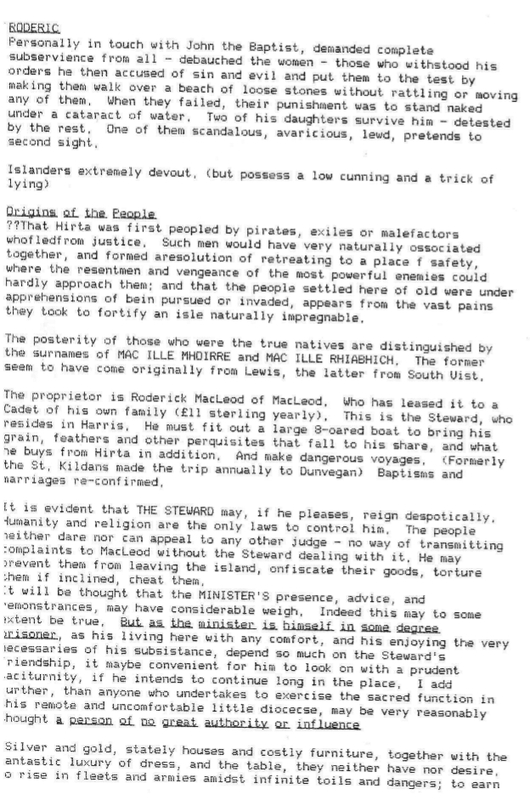 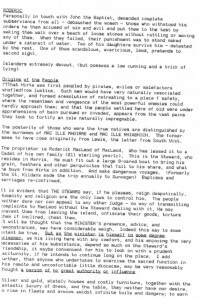 Amongst the inhabitants lives Lady Grange, based the true historical figure named Rachel Chiesley who was kidnapped and banished by her former husband James Erskine, Lord Grange, to various secluded Scottish islands after she successfully tried him for treason following their bitter divorce. 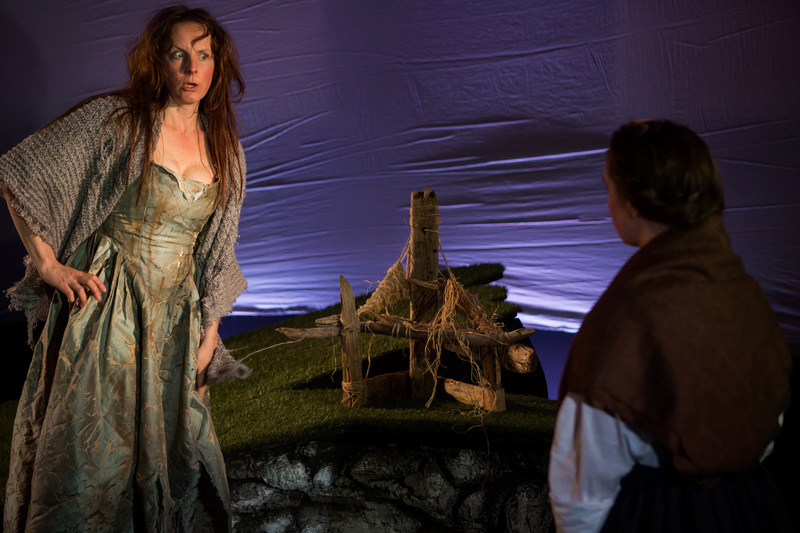 Lady Grange is desperate to return to civilisation and escape a life incarcerated with the heathen St. Kildans and her serving woman Oona. 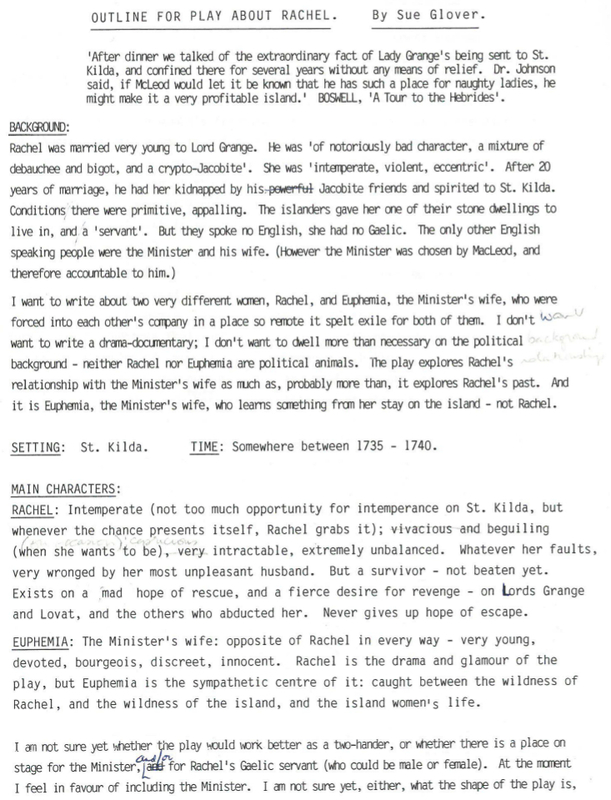 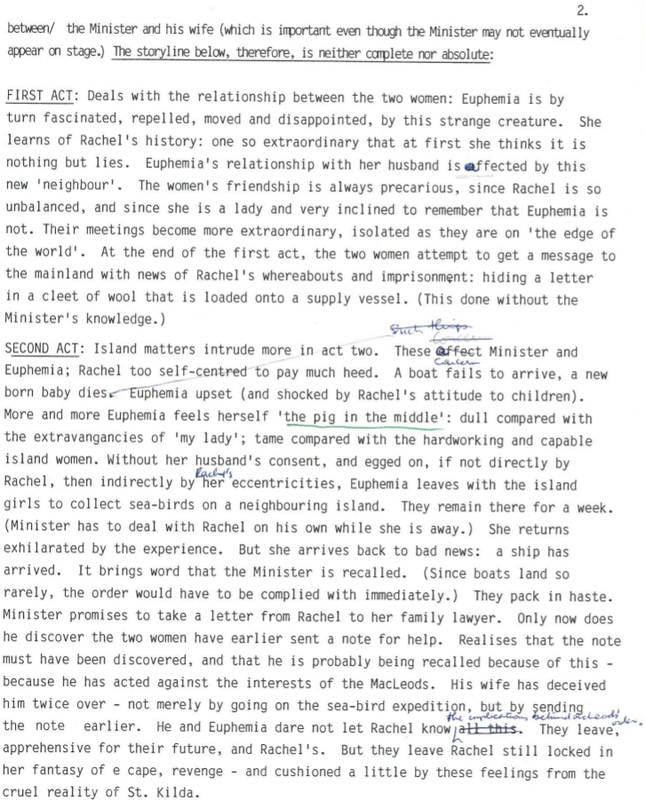 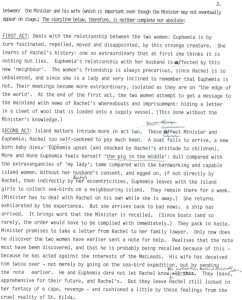 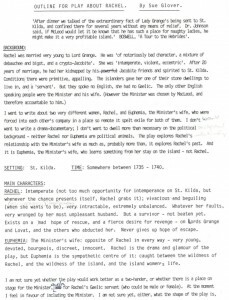 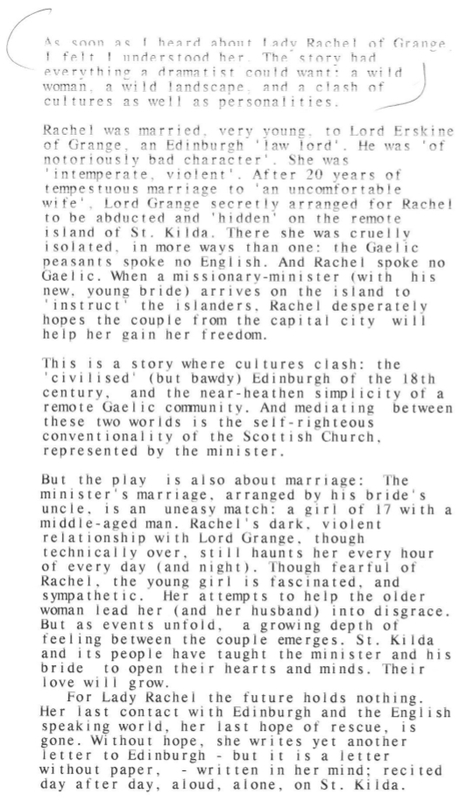 Isabel is appalled yet fascinated by Rachel, who tells the young bride unfamiliar stories of betrayal and abduction. While Isabel uncovers alarming similarities, battling between youthful exhilaration and the danger of being too troublesome a wife, Lady Grange clings with tragic dignity to the two things she has left in the world – a consuming rage and an old straw chair. 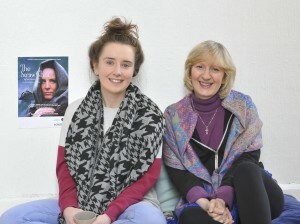 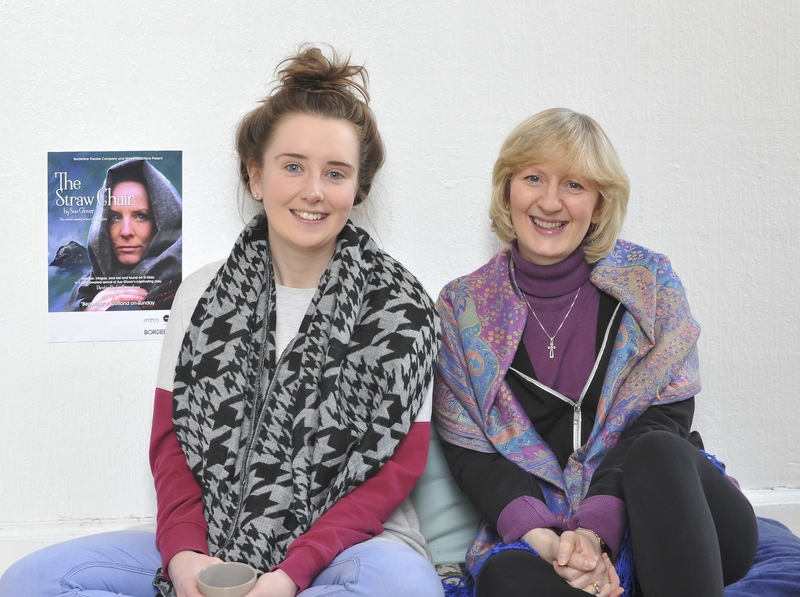 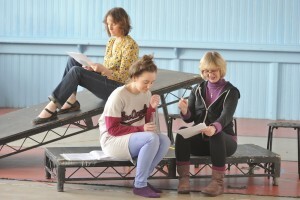 Supported by Creative Scotland and Ayr Gaiety Partnership. 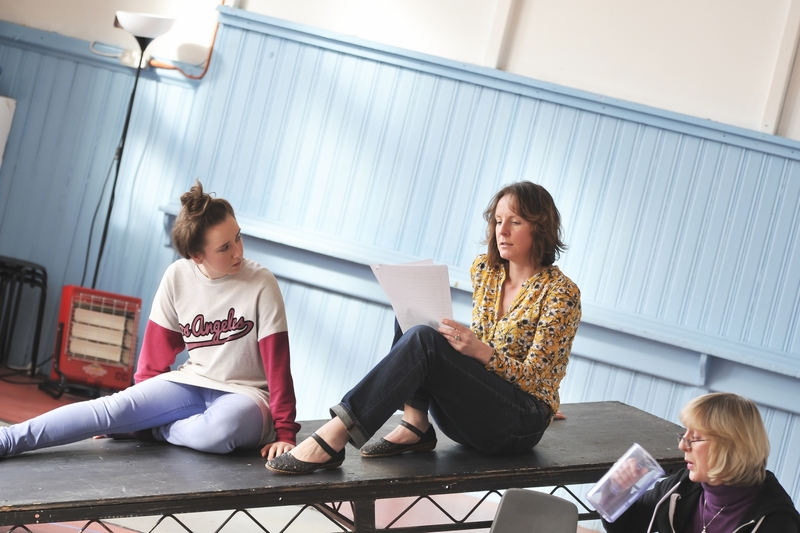 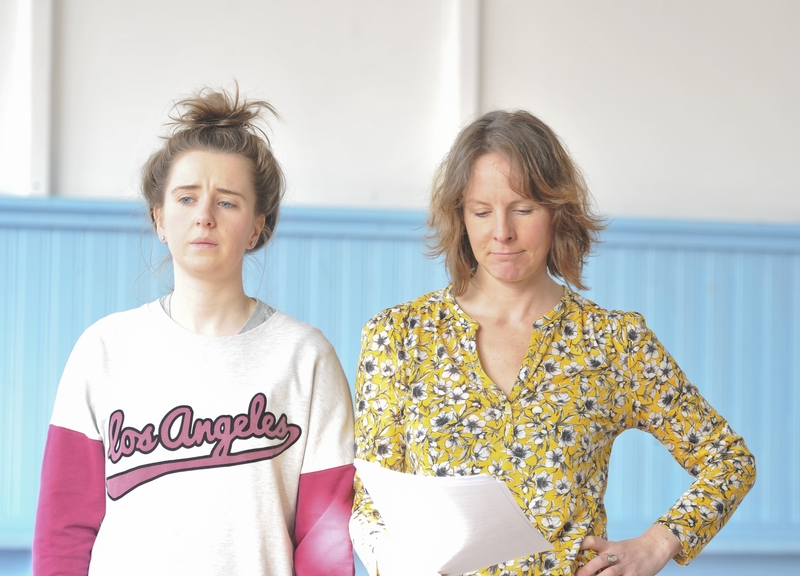 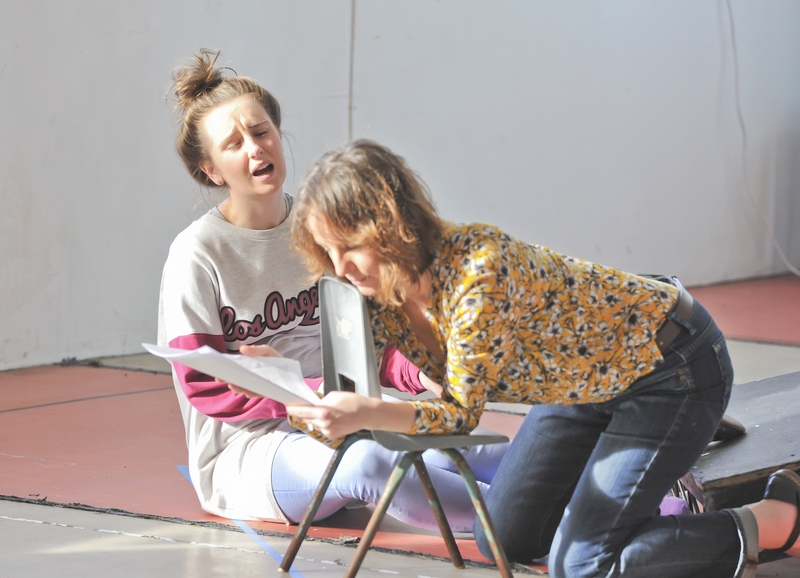 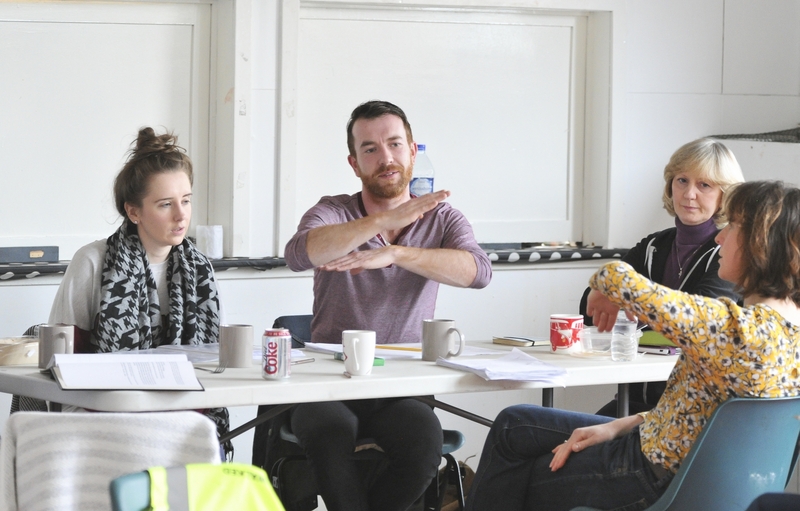 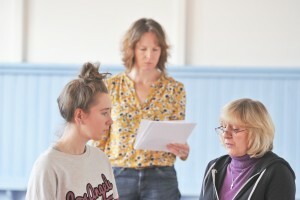 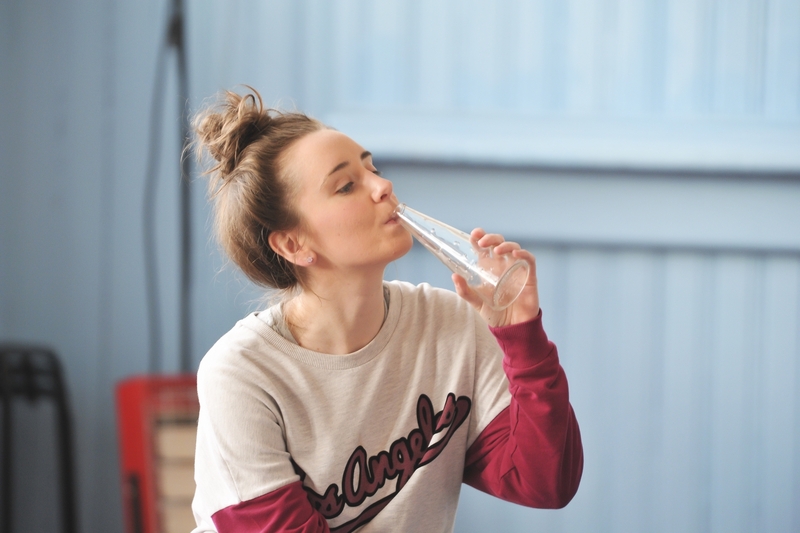 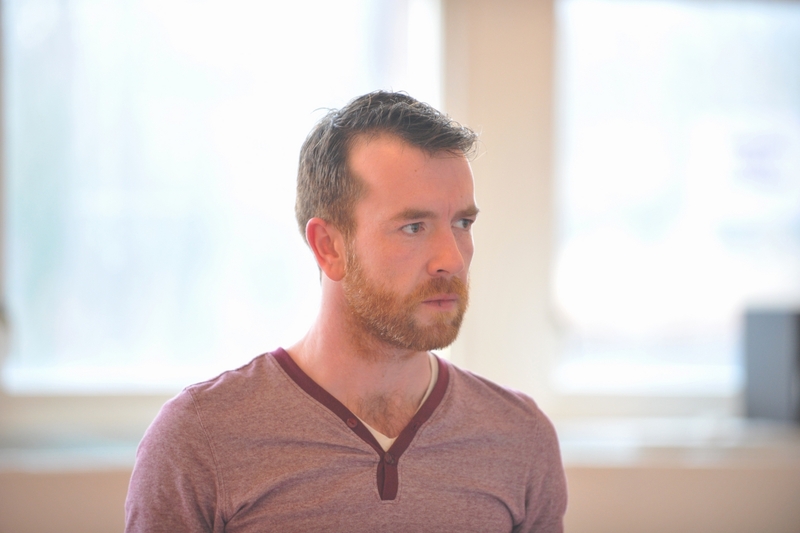 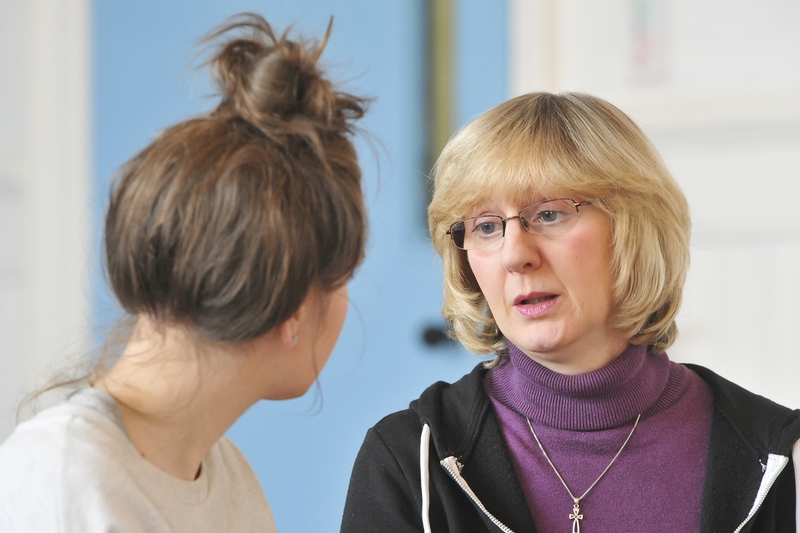 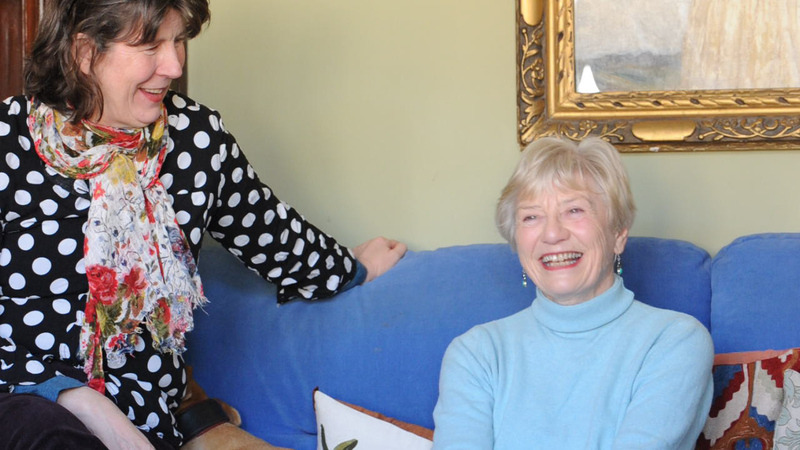 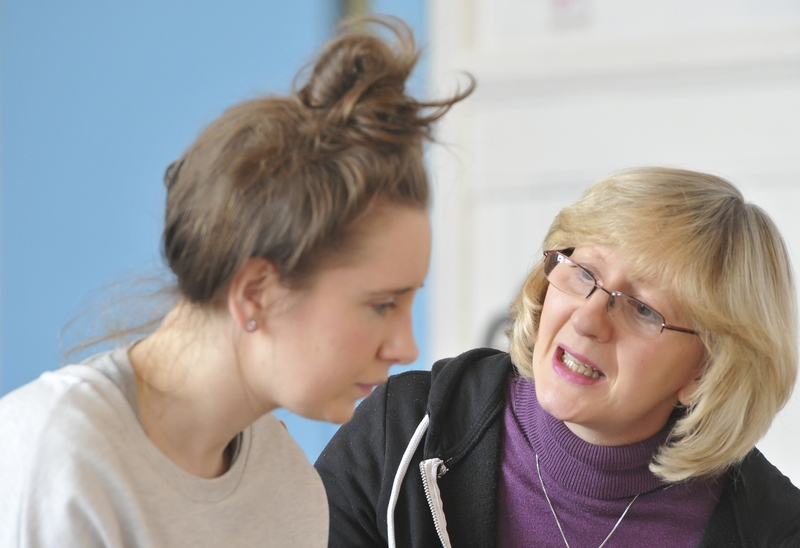 “I once heard Liz [Carruthers] in rehearsal; they were discussing sightlines – saying ‘I don’t want this show to be directed mainly for bigger theatre; every venue on the tour is equally important.’ Which everybody in the company fully agrees with. 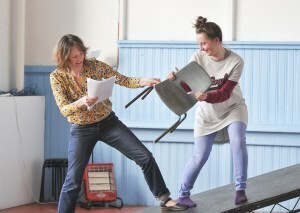 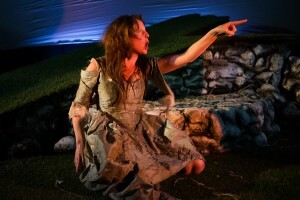 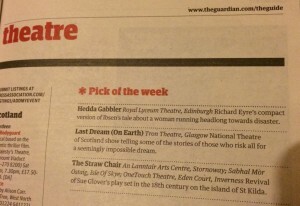 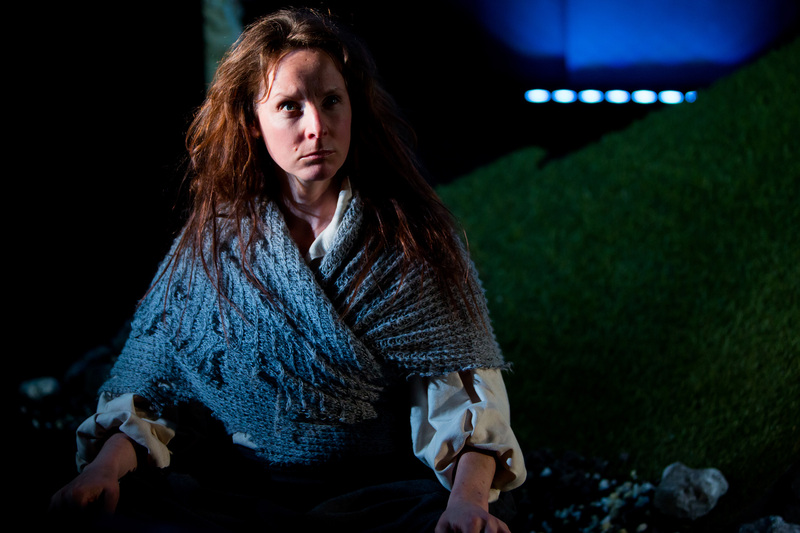 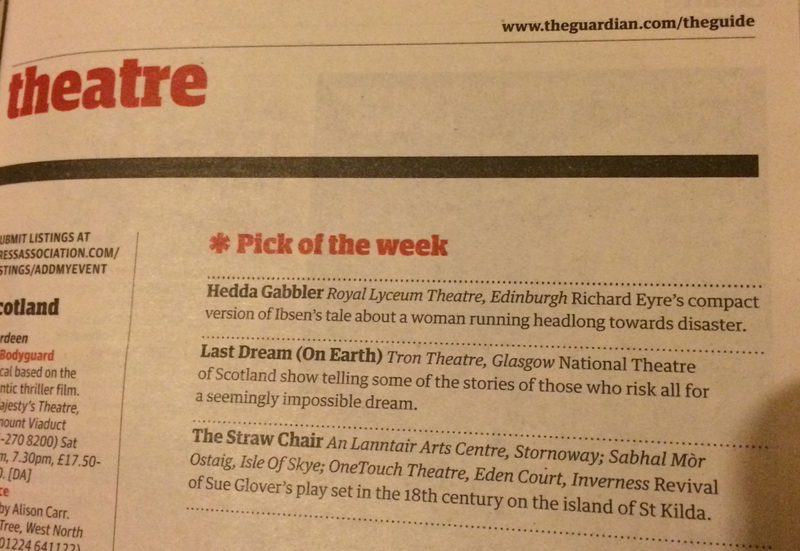 The Straw Chair was also part of The Guardian’s Theatre Pick of the Week, w/c March 30. 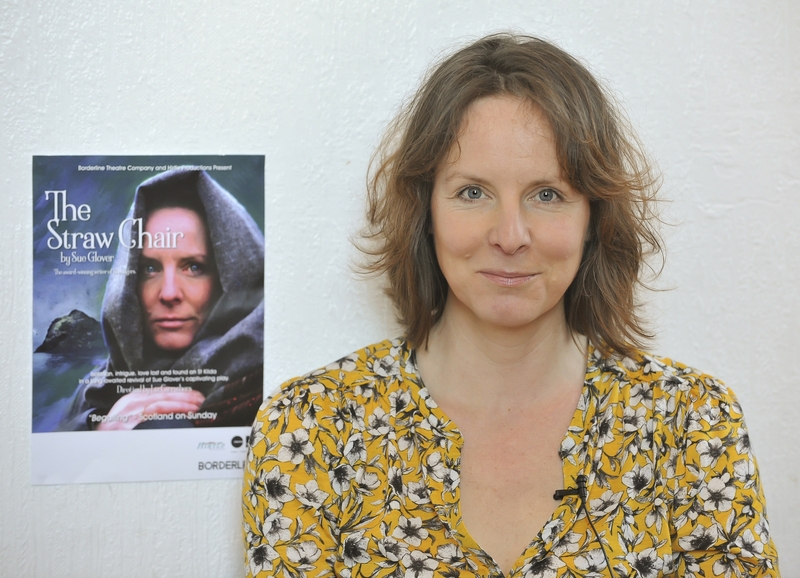 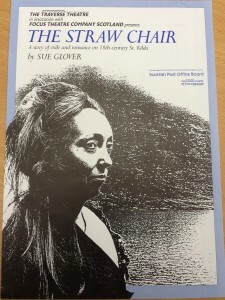 Background and history to The Straw Chair featuring interviews with Director Liz Carruthers, Writer Sue Glover, Designer Claire Halleran and Creative Producer Liz Burton-King. 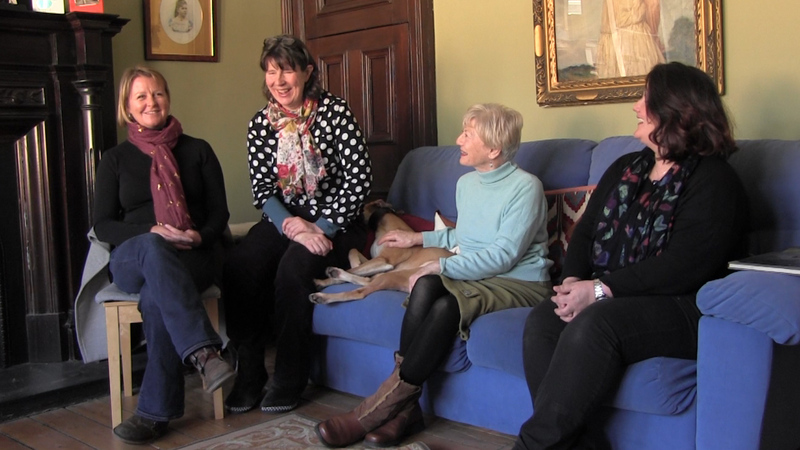 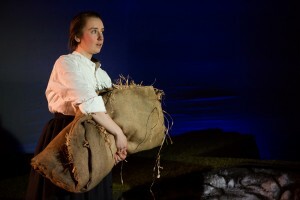 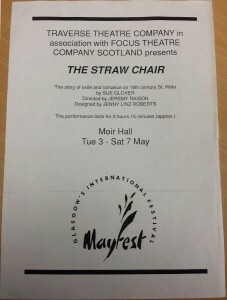 Interviews with the cast of The Straw Chair featuring rehearsal footage. 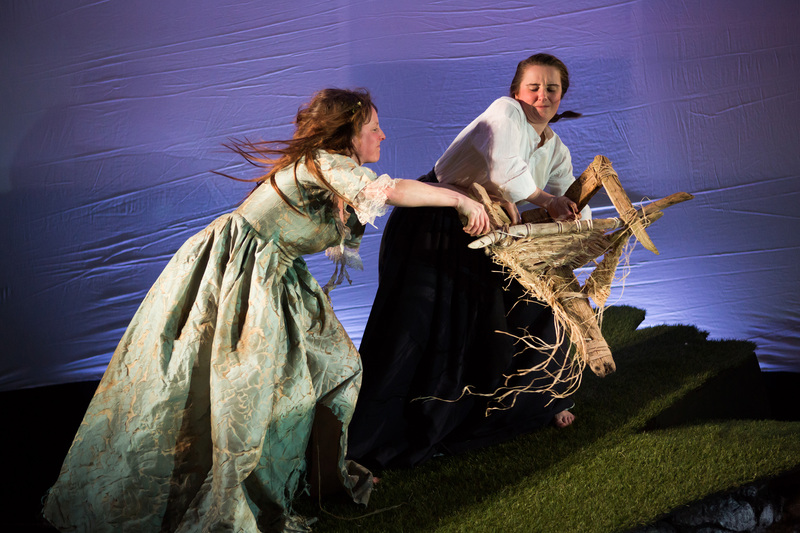 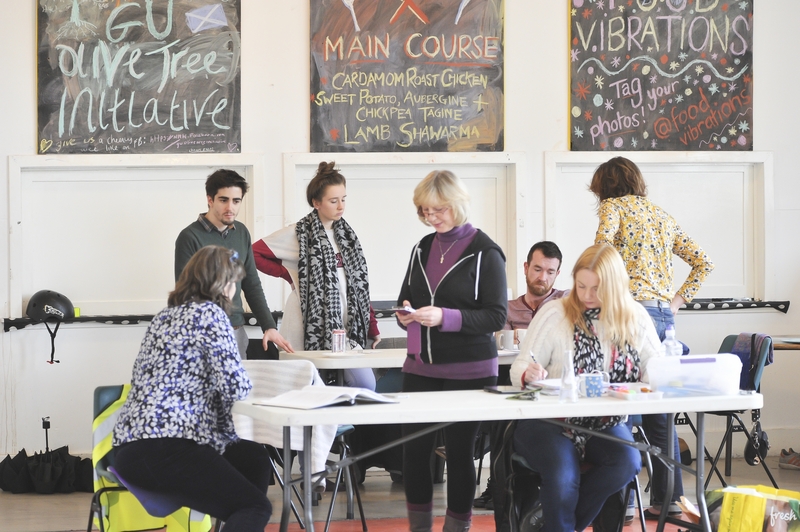 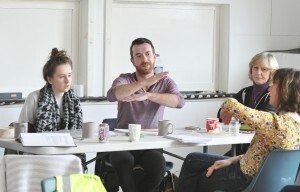 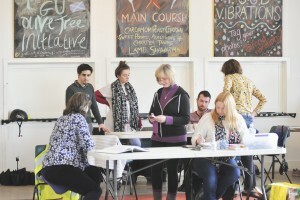 Videos by Prancing Jack Productions Ltd.
Watch a video of Assistant Producer Rishaad Moudden talking to The Tower Digital Arts Centre about bringing The Straw Chair to them as their first live theatre performance. 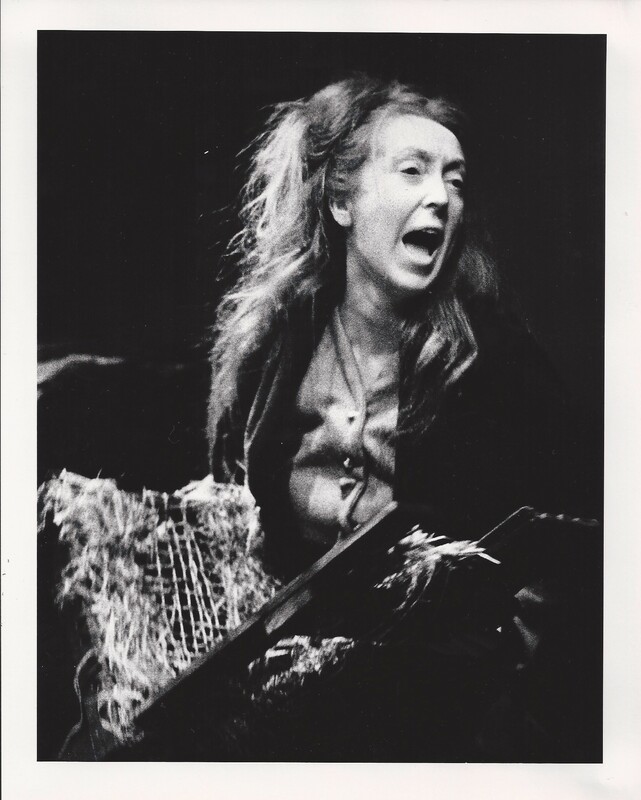 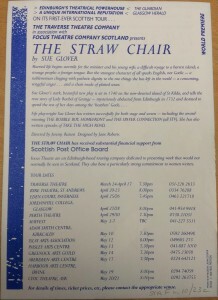 The Straw Chair was first performed at Traverse Theatre in 1988 as a co-production with Focus Theatre, followed by a Scottish tour. 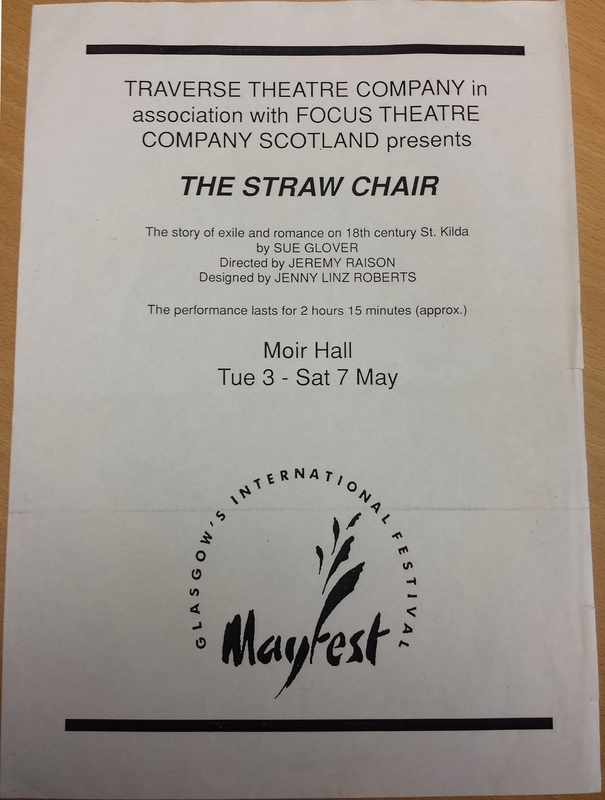 This was directed by Jeremy Raison, designed by Jenny Linz Roberts and starred Anne Lacey, Sharon Muircroft, Derek Anders and Alyxis Daly. 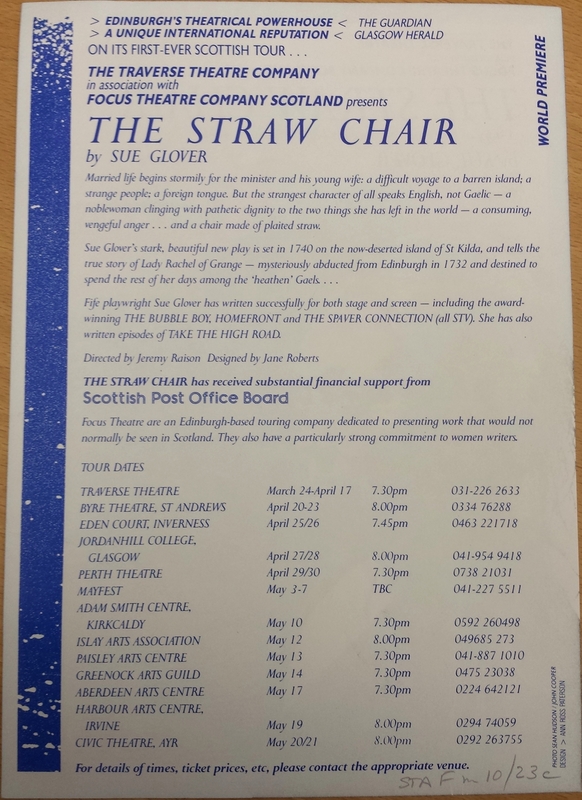 The only other professional Scottish production was in 1993 by Sandy Neilson and Allan Sharpe’s Fifth Estate Theatre Company at the Netherbow Theatre, now the Scottish Storytelling Centre. 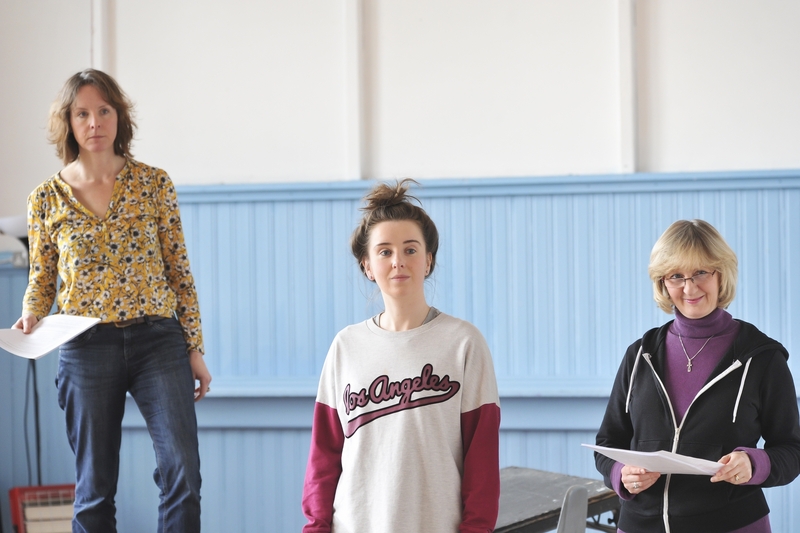 Borderline and Hirtle present the first Scottish tour of this internationally renowned play in 27 years and are delighted to bring it back to Traverse Theatre on April 23-25.